a thinker, an intellectual, with a philosophical bent of mind. His hands show remarkable cool-headedness. He must have been someone fully in control of his emotions, like a true ascetic, and someone grounded, with tremendous energy, and an immense ability to cope. These energy levels must have been sustained even in later years. Most important, his hands show compassion and the desire to help others. When a good mind, a calm, strong, balanced personality, and energy is combined with a strong desire to help others, such people have the potential to do a lot of good in their lives. In the case of Swami Prabhupada, we know he did. He founded ISCON, like a true leader. His hands do not show a desire for wealth. A slightly shy, introverted nature is shown, but this would be more evident in his younger days. His hand shows humility, and trust. No doubt, such a man would be able to inspire others. You might want to read about the difference between modern gurus and the gurus of yesteryear, as revealed by the hands. More hand readings: The hand reading of Osho Rajneesh , The hand reading of Sri Sri Ravi Shankar, Sai Baba and the hand reading of Jaggi Vasudev (Sadhguru). You can also find on this website, the hand readings of spiritual leaders from all over the world: including the Pope, the Ayatollah, the Dalai Lama, Mother Theresa and also Mahatma Gandhi. Or scroll through the posts tagged Spiritual Leaders whose hands have been read on this website. *Swami Prabhupada’s full name was Abhay Charanaravinda Bhaktivedanta. 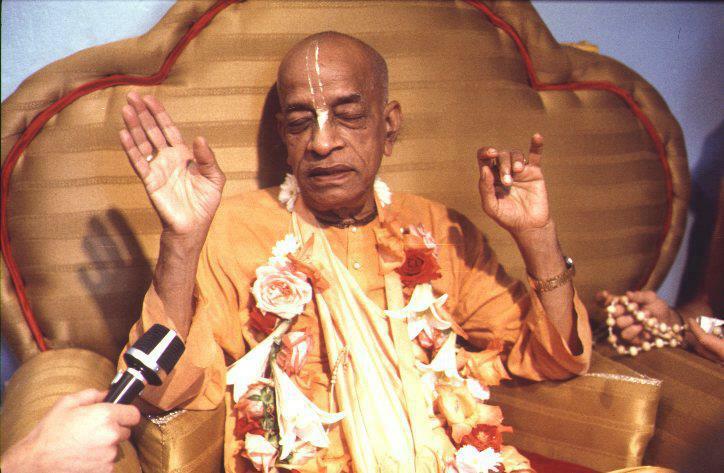 He founded the International Society for Krishna Consciousness (ISKCON), which is also known as the "Hare Krishna Movement." He is considered a messenger of Krishna, by his followers.